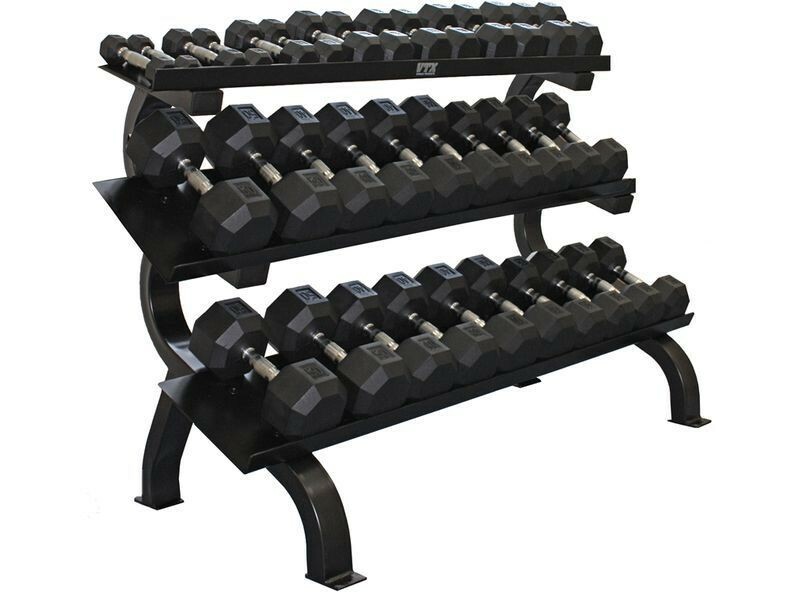 Troy's commercial grade, 3 tier horizontal shelf rack will hold a 5-75lb run of hex dumbbells (15 pair) with ease. This rack is quite heavy and sturdy. 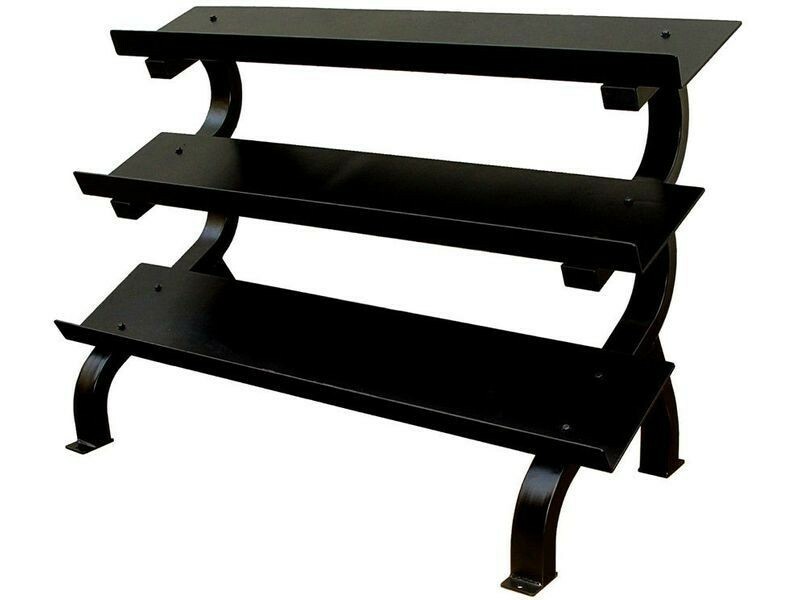 This rack features the "flat tray" shelves instead of the open-hole design in other shelves. The space-saving design of the three tiers maximizes your floor space. This rack weighs 240 lbs and is heavy duty enough to hold 1,200 lbs of weight without a problem (ie: a 5-75lb set).